Macy's Tools of The Trade Baking Items $4.99 Each After $10 Mail In Rebate + Free Store Pickup or Free Shipping With $25 Order or $3 Shipping: Choose From: 8", 9" & 11" Fry Pan Set, Non-Stick Roaster & Rack, Stainless Steel 3 Qt. Soup Pot,11" x 18" Double Burner Griddle or 0" Copper Titanium Frypan. 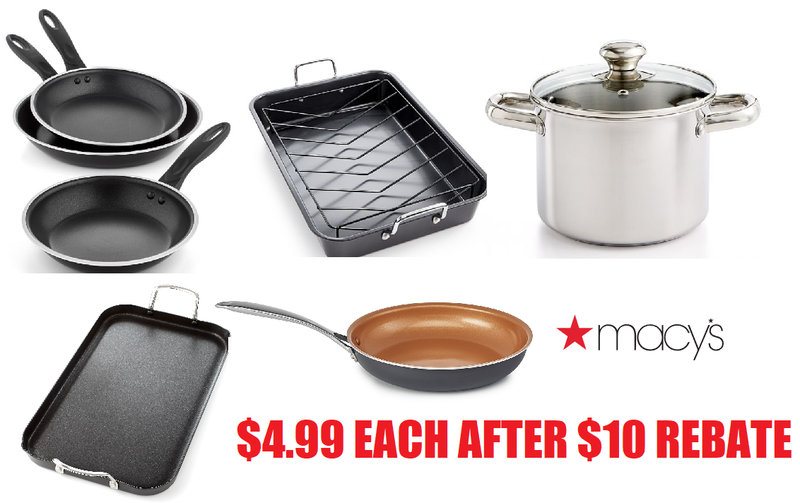 These are awesome deals for just $4.99 after the rebate! !